Simple to use, and easy to upload straight to your phone via the app and WiFi. Also has real time imaging direct to your phone, and can be remotely controlled from your phone. 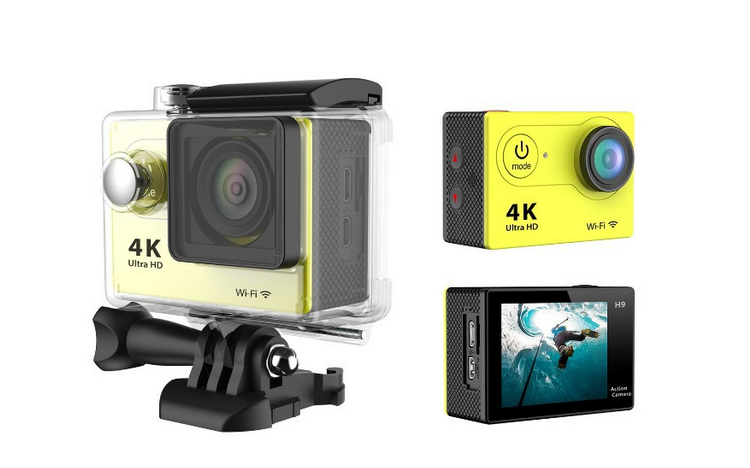 Comes with the following accessories: waterproof housing, handlebar mount, helmet side mount, helmet top mount, tripod mount, belt clip, spare protective back door, lens cloth, tethers. Available in the following Cool Colours: Black, Blue, Pink, Yellow, Silver, Gold, White. Interested? Contact us: Kapiti Xtreme Kayaks.